Aaron dreams of being a pilot. He is one of the top performers in his class. 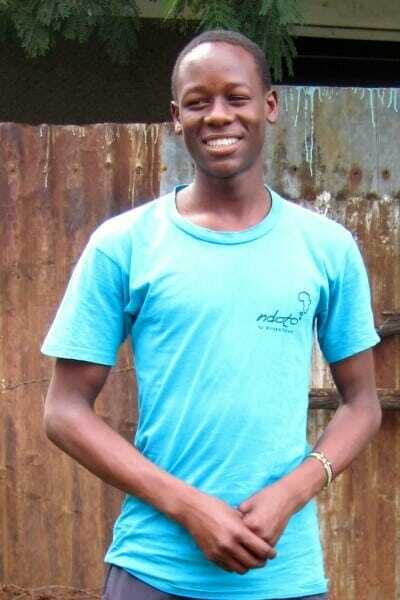 Aaron is an orphan and lives in the Ndoto dorm with his brother, Isaac, who is battling cancer. He is always eager to help around the Ndoto office. He loves Jesus and attends Bible study and church at the Ndoto Community Church. He likes drawing, playing soccer, and helping at the Ndoto office.